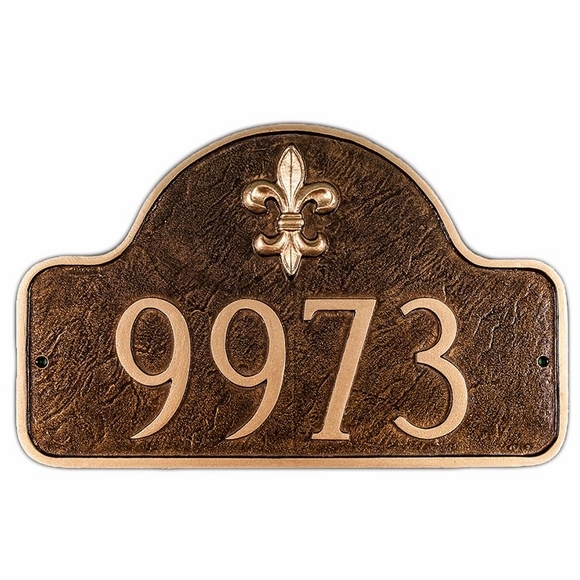 Personalized 15.75 x 10 Fleur de Lis Arch Plaque - - standard size address sign. A fleur de lis symbol highlights the decorative arch shape. Customize with one or two lines. Made in USA. The one-line sign holds up to five 4" or eight 2" characters. The two-line version holds up to five 3" characters on line 1 and up to 17 characters on line 2.